So I heard your new book, A History of the Cetacean American Diaspora, is about whales. What is your favorite whale species? How can I choose just one? I love humpback whales for the way they sing. I love North Atlantic right whales because they don’t engage in any of that inanity that most other animal species engage in, where the males fight one another to see who gets sexual access to the females; instead, everyone just makes love with everyone elese, and everyone is happy. I love bowhead whales for their wiliness, their longevity, the jaunty upside-down Nike swoosh of their mouth shape. I love sperm whales for their stolid squareness of brow, their quintessential Moby-Dickish-ness. Also for how damn loud they are. Good on them for being so loud. But I love the quiet whales just as much, and I love the slow lumbering whales just as much as the fast twittering ones, the light-fleshed whales just as much as the dark. But the book isn’t just about whales, is it? It’s about…other things, too? Well, I worked a number of different animal motifs into the text. Next to whales, I would say that owls are the most frequently recurring animal motif in the book. About a month ago, I went to Barnes and Noble to buy a day planner because something about the idea of using a mobile app like Google Calendar to organize my one wild and precious life feels sacrilegious to me. (I’m a terrible Luddite: like, I was the proud user of a flip phone up through 2011, maybe even a little longer.) Anyway, I ended up choosing a nice little day planner with a picture of an owl on the front cover, and when I got to the cash register to pay for it, the cashier — a bespectacled tan-skinned round-faced man in his twenties — squealed at me, “I love owls, too! !” And we just stood there squealing at each other for, like, five minutes. It was literally the happiest moment in my whole day. I asked him what his favorite owl species was, and he said he was most fond of barn owls, and then I said “Me, I prefer snowy owls,” and then we both just sort of stood there, grinning like idiots, happily absorbing the fact that we were undeniably different and yet somehow the difference brought us closer together rather than farther apart. OK, stop pulling my leg, Le. Seriously: what is the goddamn book about? OK, you got me there. I guess that it’s…sort of about…the different stories we tell ourselves to make sense of things? There’s a sentence in the King James Bible that goes, “And God created great whales, and every living creature that moveth, which the waters brought forth abundantly, after their kind, and every winged fowl after his kind: and God saw that it was good.” And that’s certainly one way of explaining things. There’s, of course, another way of explaining how whales came into existence: based on various forms of evidence, hard and soft, scientists today believe that whales evolved from land mammals that returned to the sea about 49 million years ago, when food on land was scarce. 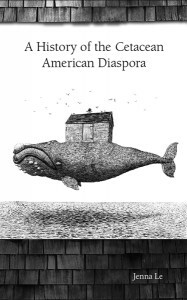 If one wanted to speak metaphorically, fancifully, one could say, then, that whales are the descendants of immigrants, the descendants of refugees. And of course when we talk about immigrants and refugees, there’s all kinds of narrative-building at work there, too, personal as well as familial and political. In my poetry collection, these various different narratives we tell ourselves about how we got to be where we are are allowed to bounce off one another. The last poem in the book, a poem titled “Ark,” is a poem I wrote a number of years ago, about a real incident that happened to me during Hurricane Sandy. Rereading it now, in our current sociopolitical climate, I feel there is something oddly timely about it, although I did not originally intend it that way. But I still believe in the message that poem has to communicate, which, to put it very simply, is a message of love. Underneath all the conflicting narratives, I believe what matters most in our divided, death-sheared world is still that: love. In his blurb on the back cover of your book, the poet Ocean Vuong calls your voice “furious.” Are you furious? I didn’t really stop and think about my own fury level until I saw Ocean’s words, and they stopped me in my tracks. But once I stopped and thought about it, I realized that, yes, I am furious. I am willing to own that. Is there something you’ve been dying to brag about for years, but never got a chance to? Once, I played Boggle against Roxane Gay on the internet, and I won. Felt good to get that off your chest, yes? You can say that again. I’ve been holding that one in for almost ten years. Can you imagine suppressing a sneeze for that long? Besides Roxane Gay, what are some contemporary writers you admire? Some contemporary writers I admire are Dan Brown (not the one who wrote The Da Vinci Code, but his namesake, the one who wrote the witty poetry books What More? and Taking the Occasion), Joshua Mehigan, Austin Allen, Anton Yakovlev, Ocean Vuong, Eduardo C. Corral, Kim Bridgford, A.E. Stallings, Cathy Linh Che, Hannah Sanghee Park, and Paisley Rekdal. And yes, of course, Roxane Gay. Name one movie character you had a crush on while growing up. The popular, guitar-strumming college student that Kris Phillips played in the Taiwanese melodrama Last Night’s Lights (1983). I am mostly putting this into the interview for the sole purpose of attempting to find other people who have seen that movie because sometimes it feels like I’m the only one. Oh, God, I don’t know. Trying to live, I guess. One step at a time. For now, I’m going to start by brewing a nice hot cup of Huế-made lotus tea. JENNA LE, a second-generation Vietnamese-American born and raised just outside of Minneapolis, Minnesota, holds a B.A. in mathematics from Harvard University and an M.D. from Columbia University. She has worked as a physician in Queens and the Bronx, New York. She is the author of Six Rivers (NYQ Books, 2011), which was a Small Press Distribution Poetry Bestseller, and A History of the Cetacean American Diaspora (forthcoming from Anchor & Plume Press on February 29, 2016). Her poetry, fiction, essays, book criticism, and poetry translations from the French appear or are forthcoming in AGNI Online, Asian American Literary Review, Bellevue Literary Review, The Best of the Raintown Review, Crab Orchard Review, The Los Angeles Review, Massachusetts Review, Measure, Mezzo Cammin, PANK, The Village Voice, and elsewhere. 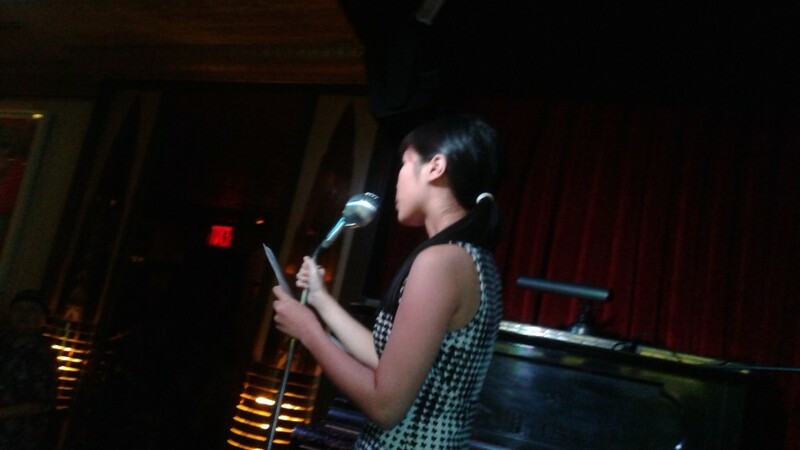 She has been a guest poetry editor for Cha: An Asian Literary Journal, an editorial assistant for the New York Quarterly, and an editorial board member of the Pharos. When not busy reading, writing, or doctoring, she enjoys drawing, savoring a hot cup of tea (no milk or sugar, please! ), and playing Boggle with friends and/or strangers on the internet.